Join us for an entertaining night at the Slepe Hall Hotel in St Ives, Cambridgeshire. There will be a 3 course meal, an initial token (£) for the casino followed by a DJ so you can dance the night away. 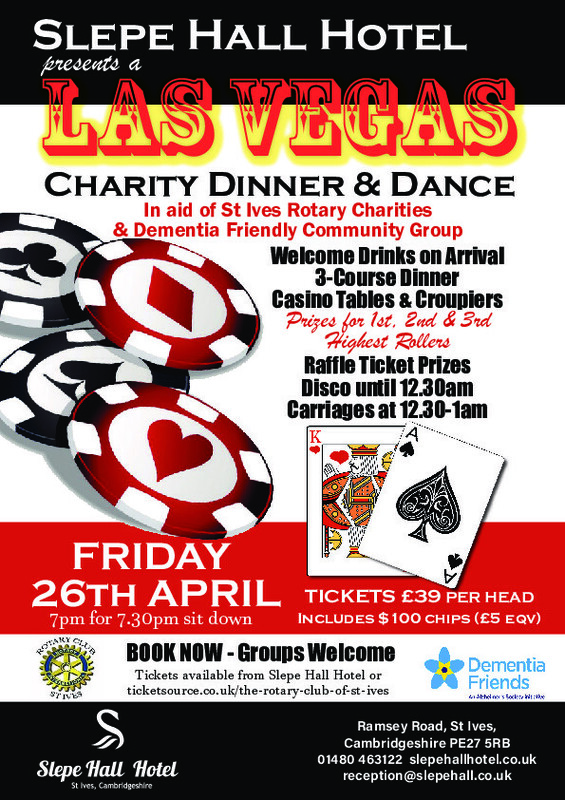 This is a fund raining event for the Rotary Club of St Ives who will donate to various local good causes, partnered with the local Dementia Friends group as the main cause.